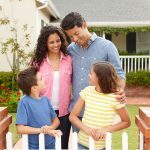 Home » What Is a Mortgage? If you’ve talked with other homeowners about their home buying experience, chances are you’ve heard them talk about paying their mortgage. But, what is a mortgage? What are the responsibilities that go along with having a mortgage? How do you know if you qualify for a mortgage? When you hear the word mortgage, don’t be scared. At its core, your mortgage is just another loan, just like the ones you might have used to pay for college or buy your car. To put it simply, a mortgage is just a loan you take out to help you finance the purchase of your home. And, it will probably be the largest loan you ever take out in your life. Because a mortgage loan is so large, it is actually made up of several separate parts to ensure that you are able to repay the debt. These parts include collateral, principal and interest payments, and taxes. Collateral – Collateral is a way to prove to your bank that you are serious about repaying the cost of your loan, along with any accrued interest and fees. When you agree to a mortgage, your home becomes “collateral” for the loan meaning that, if you are unable to repay your debt, that the bank will be able to take your house and sell it in order to try and cover the remaining cost of your loan. Principal and Interest Payments – When you make payments on your loan you are actually putting money towards two separate things – the principal, or amount remaining on your loan, and the interest, the amount of money the bank is charging you to borrow the money for your home. Aside from making regular, monthly mortgage payments, you can lower your principal payment by putting down a larger down payment on your home and reducing the amount you need to borrow from the bank upfront. The interest payments you will make on your loans is figured as a percentage of your principal balance. This percentage is determined by a number of factors from the lending institution to your credit rating. As you pay down your principal balance, you will see your interest payments become lower and lower. Taxes – As with everything else, your mortgage payments will likely include taxes. Property taxes in your community, along with the value of your home will help determine at what rate your property is ultimately taxed. These taxes normally go to help support the community, providing funds to help maintain roads, schools and other infrastructure. Call A Mortgage Broker Today! If you’re considering purchasing a home, having the help of an expert mortgage broker will help give you peace of mind and ensure you get the best deal on your mortgage. Contact Timmy Ostrom today and get help financing your dream home!